Venema was the winner of the American Council of Engineering Companies (ACEC) 2016 Gold Award for Successful Fulfillment of Client/Owner Needs. Mayfly teamed with other small businesses, under Osborn Consulting, to provide consulting services for the Venema Natural Drainage project. 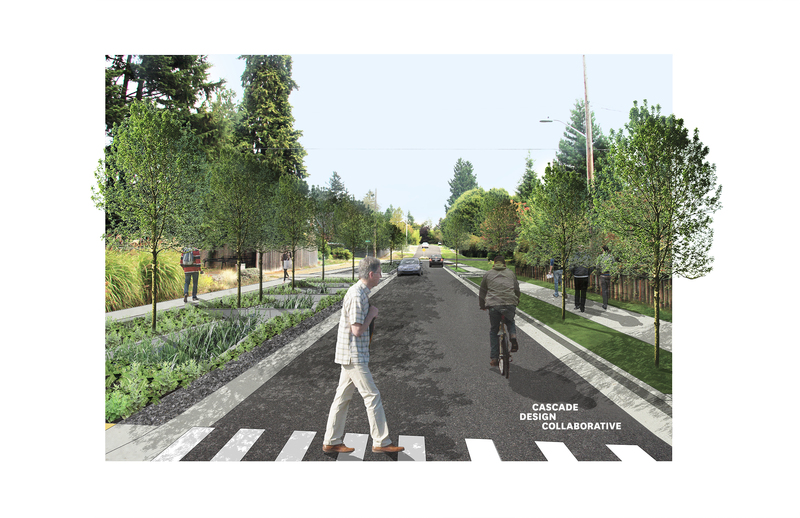 Mayfly provided assistant project management and storm water design services from options analysis through resulting construction design documents in the Street Improvement Plans (SIPs) format. Construction was completed in the summer of 2015. 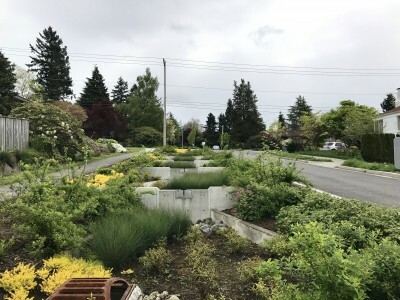 With a combination of biofiltration and underground injection control (UIC) wells, this project provides water quality treatment for almost 30 acres of upstream polluted road runoff within three blocks of retrofit street right-of-way. 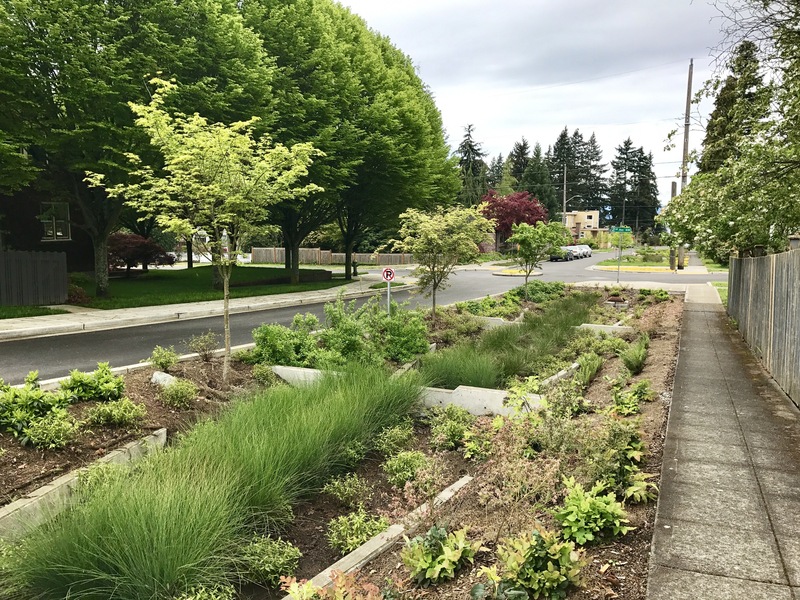 In an area where surface infiltration is not feasible, the combination of the natural drainage system and UIC wells slow down and cool down treated storm water, improving habitat downstream in Venema Creek while improving the pedestrian experience. All of the construction was within the City of Seattle ROW and the project required close coordination with the surrounding existing homes and utilities to provide ADA accessible design while meeting City of Seattle design standards and minimizing disruption with transitions and addressing neighbors’ concerns.